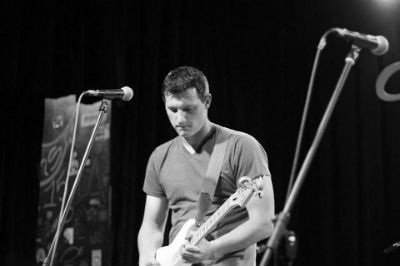 Veteran Seattle musician Phillip Broussard has released a new single titled “Just Wanna Believe.” Normally when we refer to someone as a “veteran musician” we just mean they have some experience under their belt and have been playing the circuit for a while. This is true in Broussard’s case, but he’s also an actual military veteran, having served in both Operation Enduring Freedomand Operation Iraqi Freedom as a member of the US Navy. For simply being guitar and vocals, “Just Wanna Believe” is a remarkably full sounding song. Broussard’s guitar playing is crisp and precise. His technique lends itself to a percussive sound, almost managing to get a “two for one instrument” sound out of the guitar. His vocals are soft spoken and authentic. He has a good natural singing voice and his attitude is unassuming. He never comes off as trying too hard. “Just Wanna Believe” is a quality song from an artist who deserves more recognition. pianist, and this allows for her to have a little more substantive and advanced musical backing to her tracks, unlike many other indie pop acts which rely on mediocre acoustic guitar playing or preset synth beats. She has definitely made the most of this advantage on “Vivre,” where her piano-driven songs set the pace for an sensitive and sincere album. Her singing really is what brings the songs home though. She has one of those voices that’s just naturally pleasant to listen to and would be good enough even if there were just a “spoken word” album recorded on a vintage tape recorder. The production and mixing on Vivre though are high quality. At times during the choruses her vocals kind of reminded me of The Cranberries, in that her voice is able to bend adaptively with the music in real time. Her song “Take Me Away” offers one of the best examples of this. 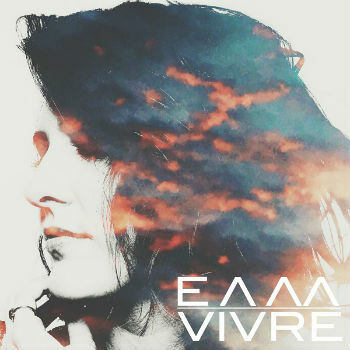 My own takeaway from listening to Vivre is that Elizabeth Anne Mall’s music is legit, and she has all the pieces in place for her to continue to succeed further. It’s only a matter of time and luck. 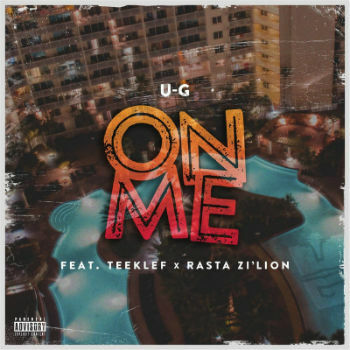 New track from hip hop artist “U-G,” which features Teeklef and Rasta Zillion. True to the names, this song does have some Caribbean flavor, mixed in with coherently layered vocal tracks and a laid back backing. This has the feel of beachgoing or boating music. It’s a little more melodic than just standard hip hop, with some dynamic singing. It’s a good clean jam without a lot of attitude or pretense. 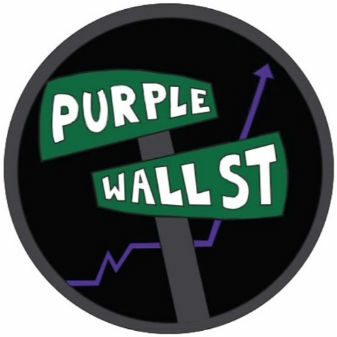 “Purple Wall Street” might be the coolest name for a hip hop duo I’ve heard in a while. Despite few releases and being fairly new to the scene (under that name anyway,) the artists definitely have the flow and skills of seasoned veterans. Clearly they have a lot of experience and know what they’re doing music wise. This project has a good chance for success. “Whateva” is a good crisp and clear rap song. The rhymes are delivered potently and distinctly. The track is also very well mixed, with the vocals out front where they should be and the backing music providing some epic atmosphere. Check out their Youtube and Soundcloud for more info and solid jams. 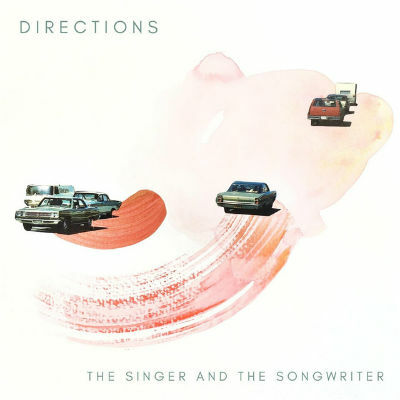 The aptly titled “Directions” is a new EP from “The Singer and the Songwriter,” (a rather accurate band name for a singer/songwriter duo that spends a lot of time traveling and making music about their journeys.) As best as I can tell, their songs would be categorized as indie folk or a variant thereof. The tracks have a uniquely innocent quality to them. There’s no posturing, attempt to be slick or even preachy. This is just good quality, authentic music that reflects well on the creators. While watching the video for “Anywhere, Everywhere” one can’t help but share in the joy of their experiences on the road. It provides a perfect visualization of the song, which seems to have a message about indispensable partners and kind strangers that guide our travels and make them worthwhile (whether on a road trip or just in everyday life at home.) Vocalist Rachel Garcia lives up to her title and is indeed an excellent singer. You won’t hear any autotune or pitch correction on these recordings. The production quality on this album hits the sweet spot, where it is professional but not over processed or ruined with a lot of unnecessary effects. I recommend going to check out this group when they inevitably cruise into your city or town if you enjoy good music and friendly company. A mysterious and thought provoking album arrived on the scene this week. 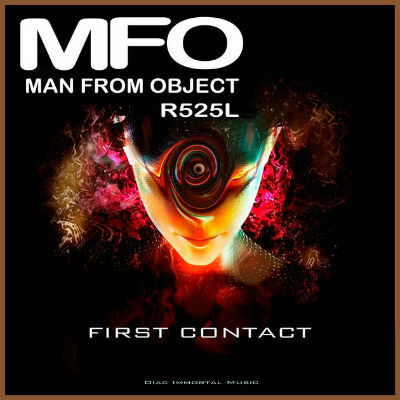 MFO, aka “Man From Object: R525L,” has an EP out titled “First Contact” (released through the label of Diac Immortal Records.) Much of it the artist classifies as being “Electronic deep house music,”) but it could also be described as futuristic dance music, since it features a deep space oriented aesthetic and atmosphere. In fact, this is the kind of music I would envision actual space travelers and perhaps alien lifeforms to listen to on their Walkmans, while cruising from galaxy to galaxy, just chilling out. The songs are pristine and laid back, but still energetic and dynamic enough that you can dance to them. “Galactic Tomorrow” reminds me of the kind of music that would feature in early 80′s scifi films set in the future, like “Saturn 3.” It would not seem out of place at all on one of these soundtracks. This EP has a refreshing, “escapist’s timelessness” to it, as it is essentially stripped of contemporary pop culture references. The video for the title track, “First Contact” showcases some extensive CGI animation skill and provides some imaginative context for a song which otherwise has no lyrics. My favorite songs on the album are probably “Galactic Tomorrow” and “Love Dreams Love,” (the latter being a casually flavorful yet memorable jam.) All in all this a very professional and worthy production at all levels. 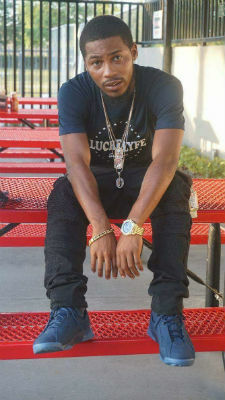 Florida based rapper Wifi Savage has a new track out, released in may titled “Put Her On.” It comes across as a pretty straightforward, hip hop club jam, featuring lyrics about lifestyle and parties. There are relationship undertones to the woman being discussed, indicating she’s a hustler and can’t be trusted. The song itself is actually very catchy and would have some potential in pop circles. I’m not a big fan of vocal processing effects, but they have become fairly standard in this genre and in this case the voice acts as another instrument, which complements the song rather well. “Put Her On” is a solid effort by Wifi Savage, one that is worth checking out. It’s one of those songs that would be an easy hit if it had the backing of major labels. It doesn’t though, so Savage will have to work his way up the hard way. 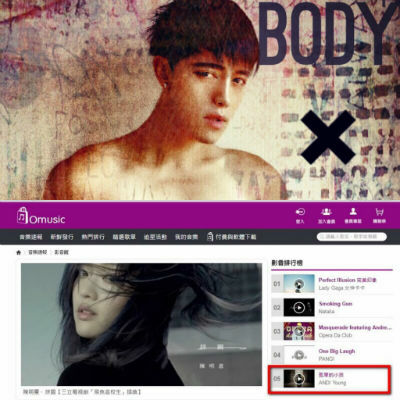 ANDI’s debut single, “Lonely Child” reached top 5 on the popular Taiwanese OMusic charts last year. The artist believes that he needs to fully liberate his soul in order to be a true artist that he is. He has stripped down to show his body for promoting his new single. ANDI’s music is a mix of piano, acoustic, folk and pop. His songs are notable for their raw emotion. He belts out these tracks with a passionate tone, his vocal presence carrying the song over the chill and brooding piano melodies in the background. His new single is sure to be a success.